MuseScore is a free open source professional music notation software for windows, macos and linux. You can input via MIDI keyboard and transfer your notes to and from musicxml, midi and more. Using MuseScore you can write music for Piano, Guitar, Orchestra,Jazz, Choir, Band and Marching Ensemble. You can download and install the latest version of MuseScore from its official PPA. You need to add its official PPA on your Ubuntu system to install MuseScore. Open your terminal app in your Ubuntu system, and run the below command to the PPA. Then run the below command to install MuseScore on Ubuntu. 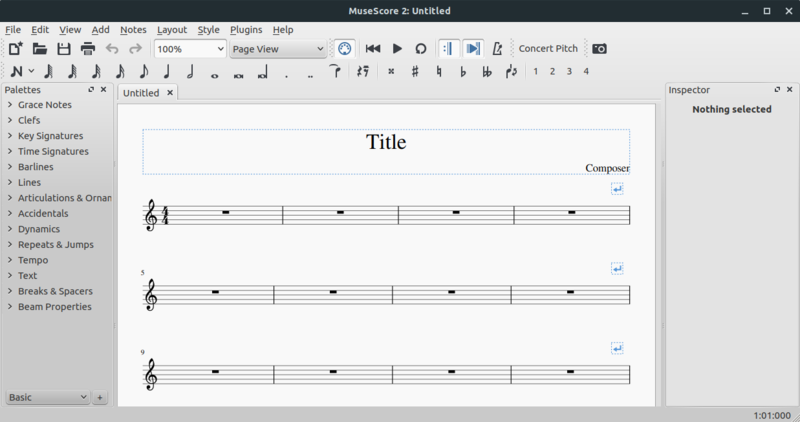 After the installation of MuseScore, click the show applications in the Ubuntu Gnome dock and type MuseScore the search box and click MuseScore to open it. For Unity you can search MuseScore from ubuntu dash.